Through engaging education and stewardship programs, Northwest Wildlife Preservation Society introduces British Columbians to the wonders of the natural world to encourage understanding of and an enduring respect for wildlife in the Pacific Northwest. Our three main programs are Indoor Wildlife Workshops, Nature Walks & Workshops, and Youth Environmental Leadership programs. All programs are offered year-round. Thanks to our generous corporate and foundation grantors and individual donors, programs are free of charge to inner-city school children and youth, as well as other at-risk/disadvantaged/marginalized groups to ensure everyone is given an equal opportunity to understand their interconnected relationship with wildlife and the importance of protecting it. For groups more fortunate, we request a modest honorarium to help cover our costs. We work with all kinds of groups including but not limited to public and private school classes, First Nations groups, summer camps, youth groups, boy/girl scouts, retirement homes, and new immigrants. Learn about wildlife in these engaging workshops tailored to groups of any age, from preschoolers to seniors. With seven program topics to choose from, these highly interactive hour-long sessions are a wonderful way to learn about the incredible biodiversity we are blessed with in British Columbia. 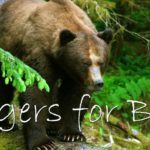 Program topics include Bears, Wildlife of BC, Raptors of BC, Marine Wildlife, Salmon, Temperate Rainforest, and Endangered Species. For school groups, the content is created in line with the curriculum to enhance the topics currently being studied in class. All the programs are designed around principles of interactive education and include ample opportunity for group discussion and engaging hands-on learning. This teaching style is facilitated by the use of biofacts like animal skulls, antlers, and animal mounts (ie bats and owls), helping students connect better with the topic and seeing for themselves physical characteristics and clues to animal diets and behaviour. Unlike exposure to similar artifacts in a museum or with live animals, by using biofacts we can encourage participants to learn by touching and examining the biofacts closely without stressing out a live animal. We also use various forms of technology including awe-inspiring photography and video as well as audio recordings of animal vocalizations. Using diverse learning tools is complimented by interactive demonstrations, educational games and activities that make learning both exciting and memorable. Our Nature Walks & Workshops provide first-­hand experience learning about wildlife during a full-day outdoor class and field workshop in a regional park. Participants are engaged in discussions about natural history, wildlife behaviour, animal adaptations, biodiversity, threats to the environment and solutions to these issues. Learning about wildlife in this setting allows people to use all of their senses to understand the environment and to become connected with the natural world that surrounds them. Increased stress on our natural world has resulted in a growing need for environmental education and activities that work with nature instead of against it. Children especially are becoming more disconnected from their environment, particularly in large cities where many natural spaces are fragmented, bordered by busy roadways and not easily accessed by public transportation. Due to this separation, many community residents are unaware of the impacts their actions have on wildlife. Our programs offer students the opportunity to get acquainted with their environment. Connecting them with the incredible biodiversity we are so fortunate to have here in British Columbia is pivotal for inciting a passion for preservation in our future generation of leaders. This program is predominantly offered to inner-city school classes thanks to the generous funding support from our corporate and foundation partners, as well as our amazing group of individual donors. All costs including the school bus to transport students are taken care of. Please inquire for more information if you are interested in booking a program. Note this program is in very high demand and often has a wait-list. The Youth Environmental Leadership program is innovative, extensive and hands-on. It provides youth aged 9 to 14 the opportunity to participate in real conservation work, which they design and lead under the guidance of our program instructor. Students learn how important healthy habitats are to the sustainability of many threatened plant and animal species as well as to the entire ecosystem of which we’re all a part. For example, they learn how conserving and restoring wild habitats can help mitigate the effects of climate change, as well as provide sanctuary to various wildlife species that have previously been extirpated from an area. Our programs are inclusive and provide opportunities to kids with all types of learning abilities. Students acquire and enhance many skills related to biology, environmental science, ecology and chemistry. It also promotes healthy, active living as students are walking outdoors and completing physical activities for a good cause. Thanks to our generous donors, these programs are offered free of charge to inner city schools and disadvantaged groups. Please inquire for more information if you are interested in booking a program. Note this program is in very high demand and often has a wait-list. Interested in booking a program, or looking for more information? Contact us via the form below, call us at (778) 967-3379 or email educationmanager@northwestwildlife.com. Looking to book a program? Please be sure to indicate multiple date options and pertinent information about your group (ie. class grade level or group age range, special requirements, etc. ).